Stylish and modern, these free standing certificate signs are crafted from a black Perspex and aluminium front plate. 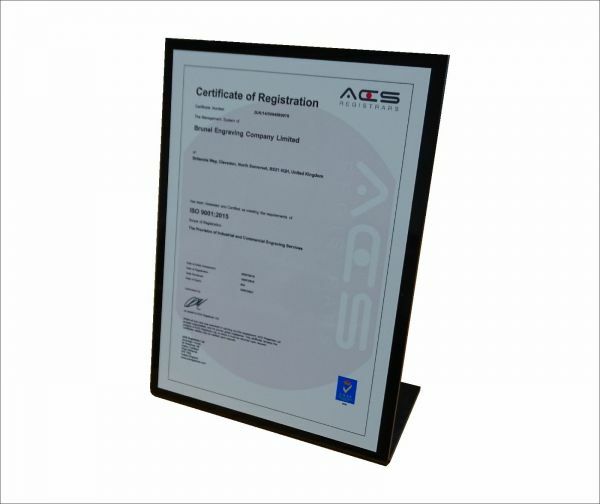 The metal front plate can be printed in full colour, perfect for incorporating all types of certificates with full colour logos. 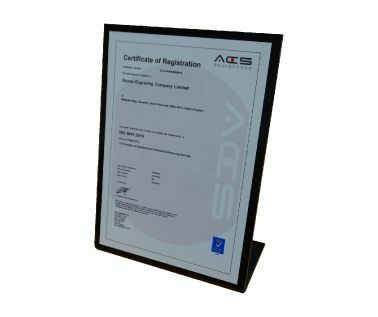 The Front plate is available in a variety of colours and finishes including, white, silver and gold. The image is printed into the materials' surface rather than on it, these means that the print is long lasting and will not peel away. 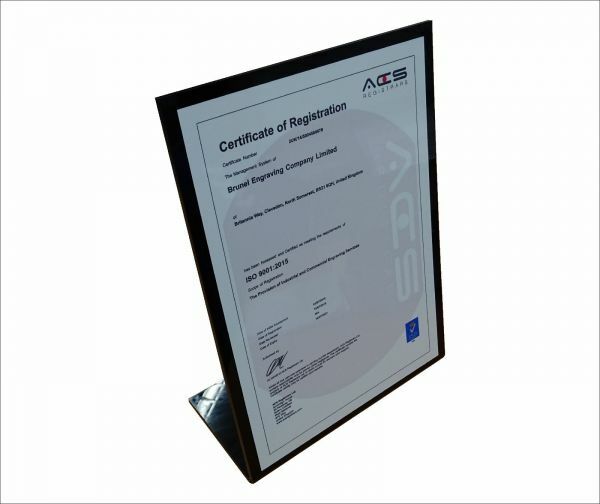 Available in A4 and A5 sizes as shown below (size quoted is front plate size with perspex surround to suit), each metal plate is attached to a perspex which is then bent suitable for free standing use.